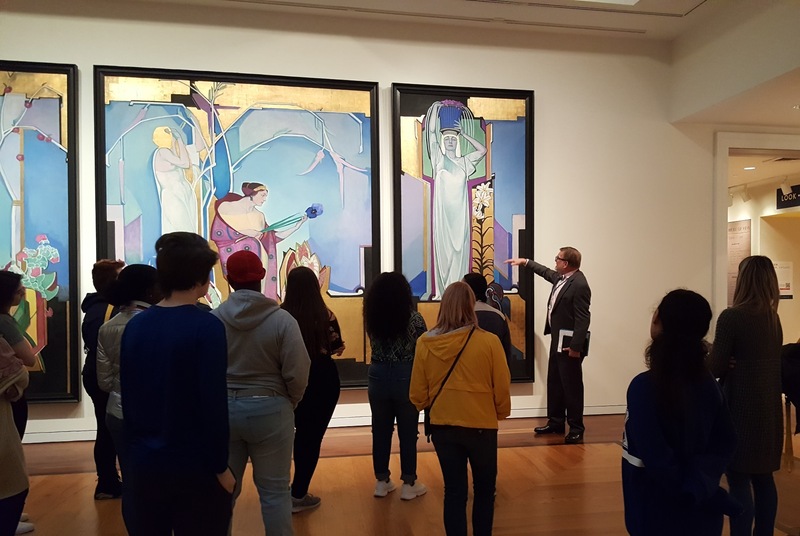 In conjunction with the installation of Edward Steichen’s In Exaltation of Flowers with Garber’s A Wooded Watershed from October 9, 2018 to April 14, 2019, the Michener Art Museum launched an innovative collaborative school based pilot outreach program in January 2019 in partnership with the environmental agency Heritage Conservancy, a community based non-profit land trust dedicated to preserving and protecting Bucks and Montgomery County’s natural resources and historic heritage. 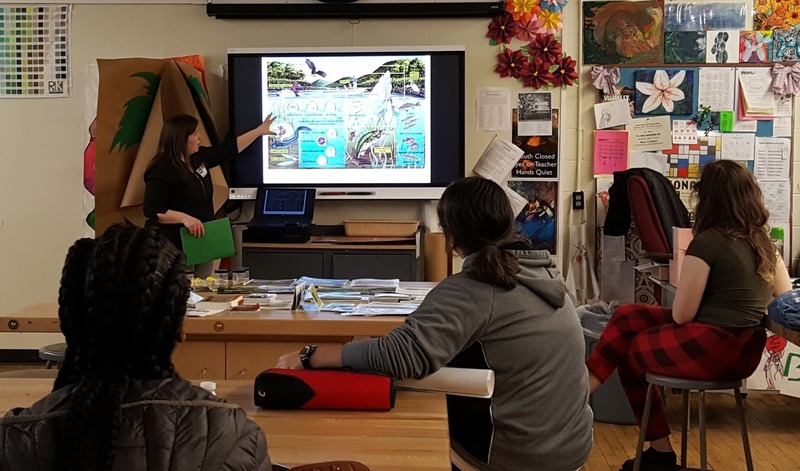 This multidisciplinary program combined the theme of nature in art with environmental science, engaging three schools in the region for five weeks in a mural based project where each student created an individual work of art to become part of a larger collective mural. A prominent unifying visual feature of this collaborative mural was “the (Delaware) river,” which is featured in Garber’s A Wooded Watershed. Over 140 students in grades 5-12 participated, from schools in close proximity to the Delaware – Morrisville High School in Morrisville, Strayer Middle School in Quakertown, and Thomas Holme School in Philadelphia. 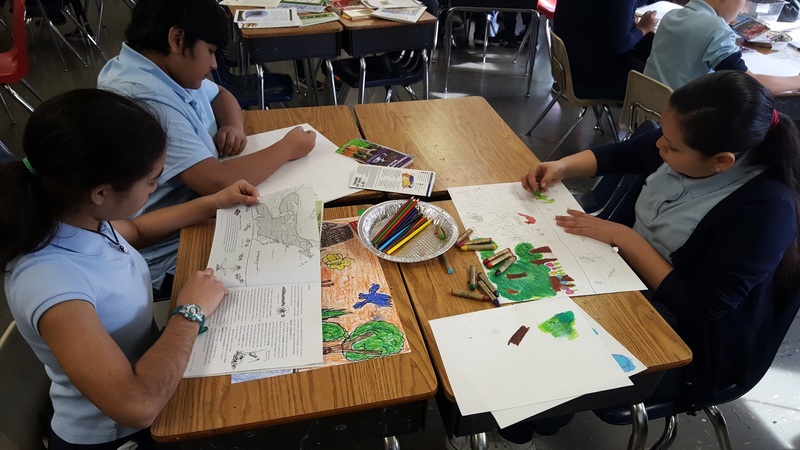 Students examined the historical importance of murals and how they communicate messages, learned about the artworks of Garber and Steichen, and were introduced to the history of land use and water quality of the Delaware River. 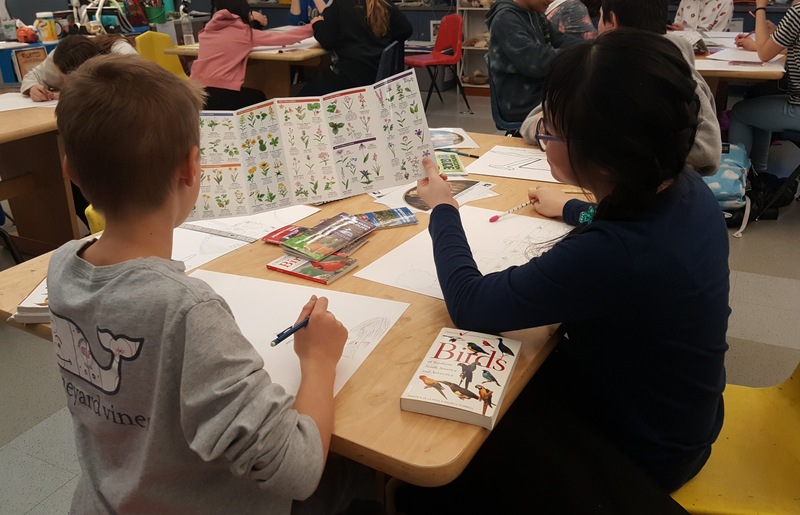 In addition, students explored the symbolism found in the murals of Steichen and Garber, along with the native wildlife, aquatic life, and plantings found in the region and their role in helping us understand the health of our environment. 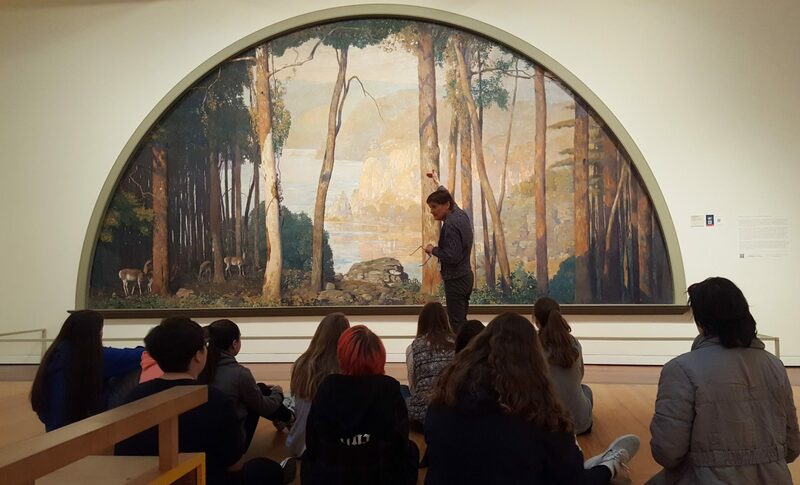 Finally, students learned the stories of each mural’s restoration, and how conservation relates to both in protecting art and our environment. Just as the Delaware River links communities from Lehigh County to Philadelphia, the student mural seen on this digital display merges the work produced at each school, and each student’s unique voice and individual vision of the river and its ecosystem, including their community as it is or as they wish it to be. When seen as a collective whole, their works convey a larger message of how art can raise awareness and engender change in helping protect our planet. This continues the grand tradition of murals as symbols and communication tools of the people and communities that create them. A very special thank you goes to all the students and the art teachers in the participating schools including Lindsay Bauer (Morrisville High School), Kate Fetterolf (Strayer Middle School), and Roksana Potocki (Thomas Holme School). 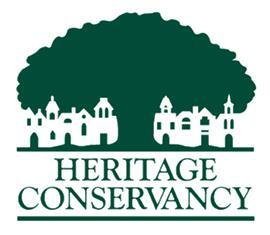 Additional thanks go to educators Rachelle Moes (adjunct staff at the Michener) and Shannon Fredebaugh-Siller (Heritage Conservancy), for their dedication in teaching the program at area schools. This installation is made possible by Art Bridges, Inc.